Regional authorities say Poly International will invest $300 million in the projected Lavna coal terminal. 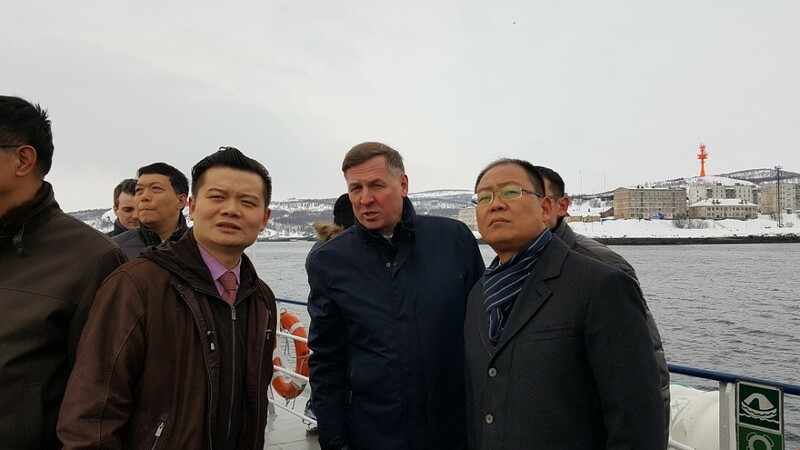 A delegation of top leaders from the Chinese state company was last week guided along the coast of the Kola Bay to assess facilities in Lavna, the site for the region’s much-desired new coal terminal. The company is ready to provide $300 million for the development of the terminal, the Murmansk government informs. According to Deputy Governor Aleksey Tyukavin the deal is «basically sealed», and the two sides are now looking at ways to further expand cooperation. «From the Chinese side, the specter of interests is very wide», Tyukavin says. «We have agreed to prepare a cooperation agreement between the Murmansk government and the company Poly International and intend to sign it in the near future». The deal comes as a railway line is under construction along the western shore of the Kola Bay. The new infrastructure will connect the coal terminal with the Russian national rail grid. The Lavna coal project has for years been a top priority project for Murmansk. But the process has been long and bumpy. Since before 2010, the project has been under development, originally with company Kuzbassrazrezugol (KRU) as key stakeholder. The company wanted to invest 17,6 billion rubles in the terminal which was to have an annual 18 million ton capacity. With the terminal, the coal company would be able to boost exports through the ice-free Barents Sea. However, in 2015 the Kuzbassrazrezugol pulled out of the project, arguing that «the outlooks for coal shipments from the region are no longer very bright», newspaper Kommersant reported. In a letter to President Vladimir Putin, company leader Andrey Bokarev in 2014 reportedly called on the state leader to scrap the project, including the new railway. According to the newspaper, the Lavna Sea Port is today owned by Rozana, a company fully controlled by the Russian State Transport Leasing Company (GTLK). The Poly International is from before involved in a series of Russian projects, among them the Arkhangelsk Sea Port and the Belkomur.